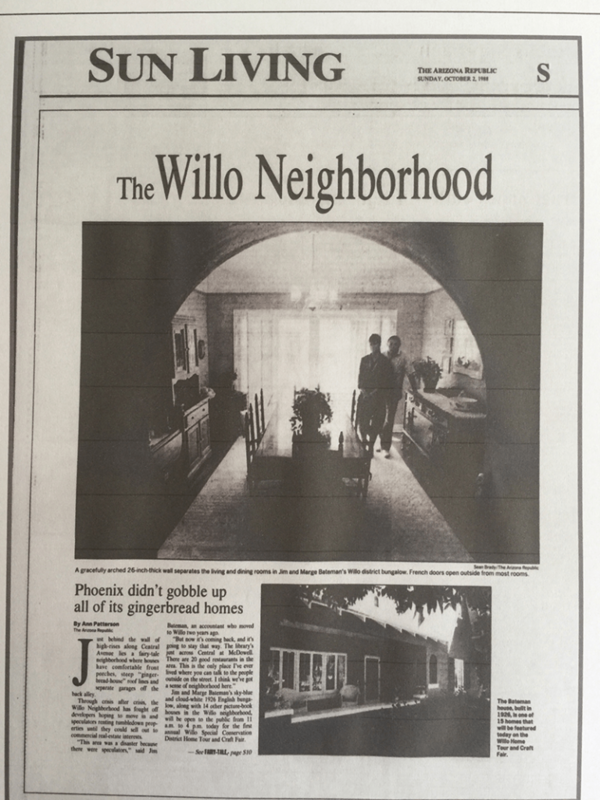 The upcoming 30th Annual Willo Historic District Home Tour and Fair had its humble beginning in 1988. It was called the Willo Special Conservation District Home Tour and Craft Fair and was co-sponsored by the Arizona Historical Society. Tickets could be purchased for (ouch) $4.00. The day of the first tour, October 2, an article appeared in the Sun Living section of the Arizona Republic titled The Willo Neighborhood. This story declared that “Phoenix didn’t gobble up all of its gingerbread homes” and “Fairy-tale homes endure”. The article brought up the battle fought by the Willo to ward off developers wanting to convert the home properties to commercial use. This article can be found online in the archive section of the Arizona Republic. The story highlighted the Tudor home at 119 W. Almeria which was then owned by soon-to-be empty nesters, who had left the suburbs for city living; a trend popular among Baby boomers today. 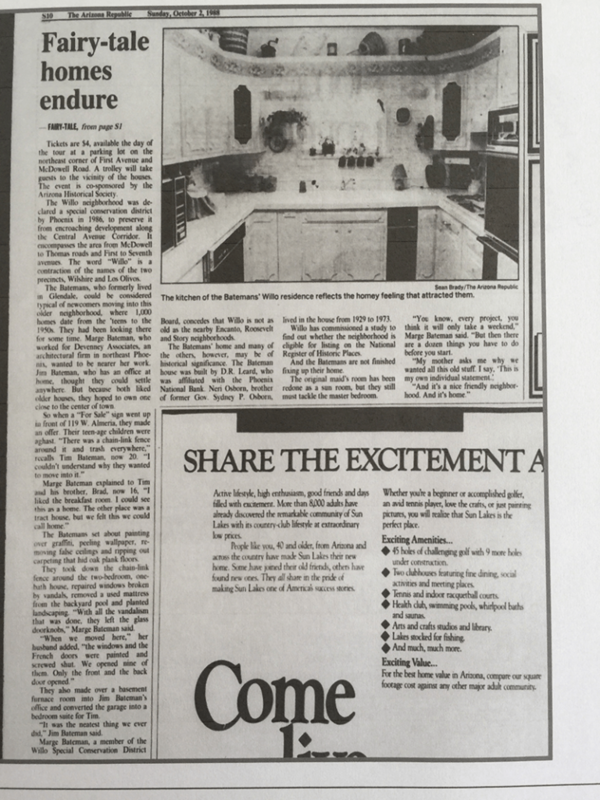 Participating in this first annual home tour in 1988 were residents Patrice Wappel and Decker Williams. 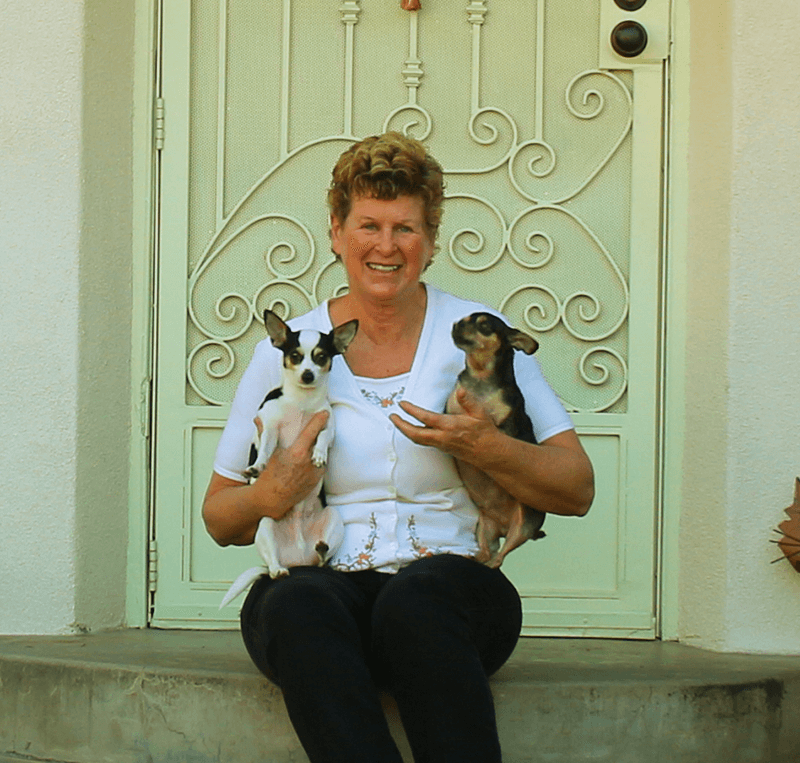 Their 1937 Spanish Colonial home on Windsor has been on tour 5 times in the last 30 years. They have spent many hours over the years maintaining and restoring vintage elements of this home rather than replacing them with new products. Even to this day their home has the original linoleum flooring, bathroom tiles, and kitchen cabinets. The couple owns other homes in the Willo, one of which is the Lyle K. Clark residence at 332 W. Wilshire, which will be in the upcoming 30th Anniversary Tour. This home was designed in 1938 by prominent local architect John H. Lester in the French Provincial Revival period style. Patrice remembers the first tour as having just a few hundred visitors and has seen it blossom over the years into an event that draws thousands of people interested in the Willo. This once small event has developed into a home tour that includes a street fair, classic car show, food trucks, beer and wine garden, and a live band. The one thing that Patrice says has not changed over the years is the friendly cohesive feel in the Willo where neighbors know each other by name.